Are you looking for a meaningful way to remember or honor a loved one, or to celebrate a marriage, anniversary or other special event? The Rocky Mountain Conservancy provides several opportunities that will last long after flower arrangements have faded. You will also have the comfort of knowing that your decision will benefit the park. You can also donate a memorial or honor gift online here. Engraved, leaf-shaped plaques are installed on our Donor Recognition Wall at the Beaver Meadows Visitor Center. 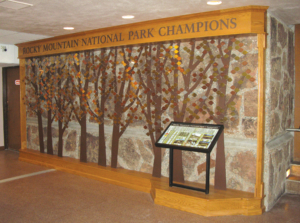 This beautiful display evokes a grove of aspen trees and is located in the peaceful lower level of the Visitor Center. Donations of a set amount are eligible for placement on the donor wall and may be applied to a fund of your choice. Contact us for more information. These rustic pine benches are placed in available locations throughout the park and provide places for rest and contemplation. Your donation will enable us to build and place a new bench in the name of your loved one (Note: the average lifespan of a bench is 5–10 years, depending on location). Please contact us for gift levels and availability. You may select a fund that is most meaningful to you. Options include youth education, land protection, trail improvement, and more. Find details at www.RMConservancy.org (click Park Projects), or contact us for more information. Can we arrange to have a memorial tree or garden planted? That’s a lovely idea, but unfortunately the park simply does not have the resources to maintain trees or other live plantings. Can we have a plaque mounted on our bench? Or on a rock in the park? To keep the park as natural as possible, these kinds of personal markers are not permitted. However, we can place an engraved plaque on the Donor Recognition Wall. Can we choose where our bench will be? 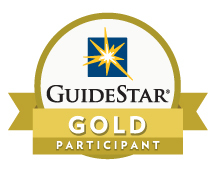 Donors are able to select from available sites determined by the park. How long do the benches last? 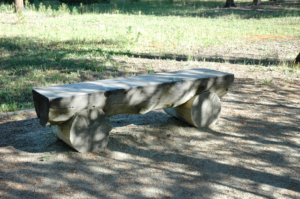 Depending on a variety of factors, benches can last up to ten years. How do you collect the money? You can collect the gifts yourself and send them to us. In most cases, memorial service providers will gladly provide assistance. They can collect the donations on your behalf and forward them to us. Gifts can be made directly through our web site at www.RMConservancy.org. Just include the memorial and notification information in the notes section. How are people notified of memorial gifts? When we receive a gift, we send a thank you letter to the donor and an acknowledgement note to a designated family member of the deceased. Additionally, all contributions are listed in our Quarterly newsletter. Can we leave a planned gift for Rocky in our will?